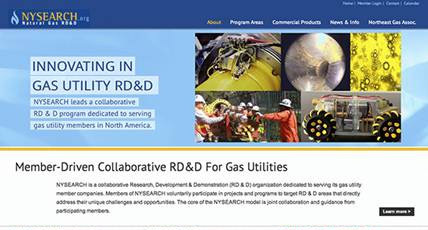 NYSEARCH manages one of the premier natural gas research, development and demonstration (RD & D) programs in the United States. 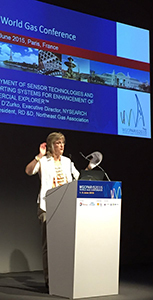 For over (20) years, NYSEARCH has worked as a consortium of natural gas Local Distribution Companies (LDCs) who have a common interest and need for research and technology development and demonstration. Today, as part of the Northeast Gas Association, NYSEARCH manages over (30) projects in various stages of development for LDCs, federal agencies and their manufacturing and commercial partners. The NYSEARCH organization, with many members and associate members from around North America, was originally set up as a New York RD & D organization but has grown in recent years because of its success in delivering high value RD & D projects, its high leverage on the research dollar and its products that provide quantum leap innovation and savings. For more information on NYSEARCH, visit www.nysearch.org.